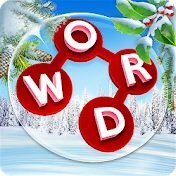 Solve your Wordscapes Daily Puzzle challenge with our help. Every day Wordscapes has a new daily puzzle for you. We have the answers for you to solve this. Get the solution for the challenge of today here! Come back tomorrow if you are stuck at the daily puzzle, we will have the answers for you. For every other solution you can search with our word search engine below or browse trough all the levels. You can now search with the letters from your level to see all the possible words you can create with these. But you can also still browse trough all the categories below to find the Wordscapes answers.